Paris ARMY MUSEUM contains one of Europe's major collections of weapons and armour, covering Military History from the 13th to the 17th Century. The richness of its ancient collection is what makes the Army Museum one of the three largest arms Museum in the World. 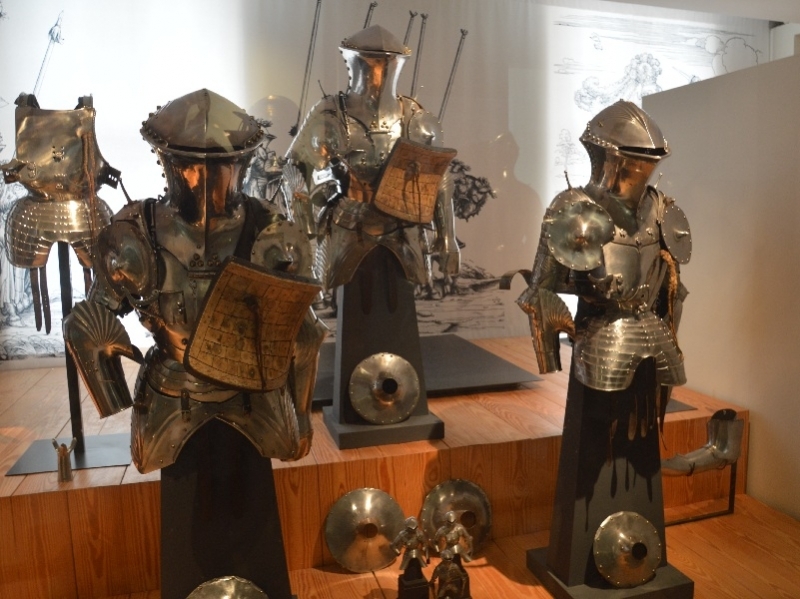 The presentation of arms and armour follows a path organized chronologically, from Saint-Louis to Louis XIV, from Knights to the standing army. In the Royal Room, we find the Crown Collections. This former dining hall gather together pieces from French and foreign royal collections of ornate weapons from princely arms manufacturers. The mural design is composed of battle scenes depicting episodes of the Franco-Dutch War, waged by louis XIV. They were painted by Joseph Parrocel in the 17th and restored in 2005. The Medieval Room represents the times from the Feudal Army to the Royal Army. 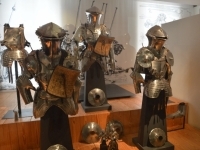 This room displays war armour and arms from the 13th to the 15th century, and notably pieces of ordonnance and a remarkable collection of medieval swords. The Louis XIII Room displays the progress of the Royal Army. This room is dedicated to the Italian campaign, to the wars against the Habsburg Empire, to the war of religion of the 16th century and the early 17th century wars. It features arms and armour related to the major figures of French History, from Francis I to Louis XIII. A Turkich Cabinet presents Ottoman pieces from the same period. The Themed Arsenal Gallery is constitued by Oriental Cabinets (15th to early 20th Century) with suits of armour, knives and firearms bear witness to the heritage of the war culture of the Ottoman, Persian, Mongolian, Chinese, Japanese and Indoniesian civilisations, from the Middle East to the furthermost bounds of Asia. We find also the European Room (16th and 17th century). Three sections : Italian, German and French, presenting series of pieces made by the most renowned European master armoures.